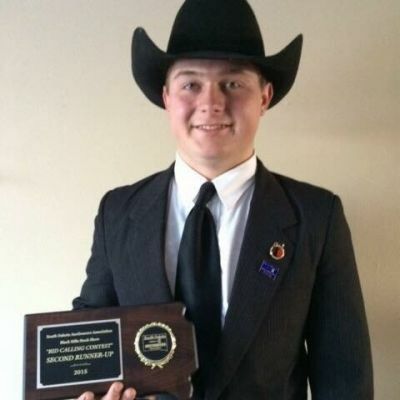 Auctioneer Austin Thayer, Martin, SD is among those competing at the South Dakota Auctioneer's Association Bid Calling Contest at the Black Hills Stock Show. RAPID CITY, SD – Price discovery is integral – not only in the livestock trade – but for just about anything. Which is why auctions remain a main stay as a mechanism to arrive at value in ranch and farm country and beyond. You can see it in action Sunday, Jan., 27, 2019 at the Black Hills Stock Show where every year, the South Dakota Auctioneer’s Association presents its auctioneer’s Bid Calling Contest. Auctioneer and contestant Austin Thayer, Martin, SD talks about the auction way. The event that gets underway at 2:00pm in the Crystalix Bio-Barrel Showring at the Rushmore Plaza Civic Center, is a partnership with the Central State Fair Foundation and the South Dakota Auctioneers Association. A portion of the proceeds goes toward the Central States Fair Foundation that works year round on raising funds for capital improvements on the fairgrounds, scholarships for area youth and support for the Western Junior Livestock Show. “This is a fun competition to work in. Proceeds benefit worthy causes and give audiences a chance to see a variety of auctioneering in action. This is about the only one where ranch work doesn’t keep me home." A wide variety of items are available for sale in both the preliminary round and in the final round where the top five auctioneers will vie for the championship title. Thayer, who auctioneers for Piroutek Auction, Arnenson Auction and Philip Livestock Auction, says there’s a mix of auctioneers who come in for the event and explains there are different skill requirements depending on what is being sold.